Sutherland Riding Club is based in the Highlands of Scotland. We have activities for all, from beginners to advanced riders. We also welcome non-riders and family members who would like to learn more about our passion for horses and support our many events throughout the year. We hold regular training clinics and competitions all year round, working closely with top level trainers to provide tuition at an affordable level for club members. 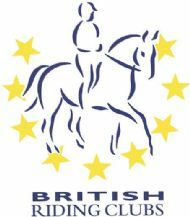 Affiliated through British Riding Clubs to the British Horse Society. Happy New Year to all our Members and their four-legged friends! A New Year......a New You........??... well perhaps not quite that dramatic, but maybe this new year we can all strive to achieve something new (or braver) with our horses and ponies. The Club calendar has been updated by our new Club Secretary, Eilidh Forbes, and so now is the time to renew your Club Membership, get out your diary and get plans made. I look forward to meeting up with you at clinics, competitions or our all-singing, all-dancing annual Riding Club Camp in May. In 2018 I wrote about my experiences riding small, naughty ponies at school and how fast you need to run after them to catch and remount when they have bucked you off! Having survived my 3 years riding those ponies, I thought nothing I rode after that would be quite as challenging...........I was wrong! I grew up on a rural estate that used ponies to carry stags off the hill in the stalking season, and was lucky enough to be given permission to ride these Highland and Fell ponies when they were not working. As a pre-teenage girl, I loved each and every one of the ponies and hated to choose which one I would ride, so used to just wander into the field and catch the first one that came to me (with a pocket full of carrots I was never short of ‘volunteers’). Naturally, some of the ponies were more amenable and easier to ride than others, with greed being the main problem...given the opportunity the moment we came to a standstill their head went down to graze and I struggled to get it back up again so that we could ride forward. Needless to say, I didn’t care too much...I was just happy to be riding and merely recalculated my route to match the stubborn-ness of my steed and my ability to pull his head out of the grass. One day, unbeknownst to me, a world renowned Equestrienne whose family owned the estate was driving with my father and observed me attempting to pass through a closed gate on one of these ponies. I rode up to the gate and halted, the pony’s head went down and he started to munch. I dismounted and opened the gate, I then heaved and pulled on the reins to try and get the pony to stop eating and walk through the gateway, which he eventually did. I then closed the gate and heaved and pulled again to get his head up so that I could mount. This I did quickly, but by the time my feet were in the stirrups he had dragged the reins through my hands and his head was down again. I then stood in my stirrups and attempted to pull his head up, kicking furiously to get him to start walking, which, after some time, he did and I carried on with my ride, happy as a pig in ****.